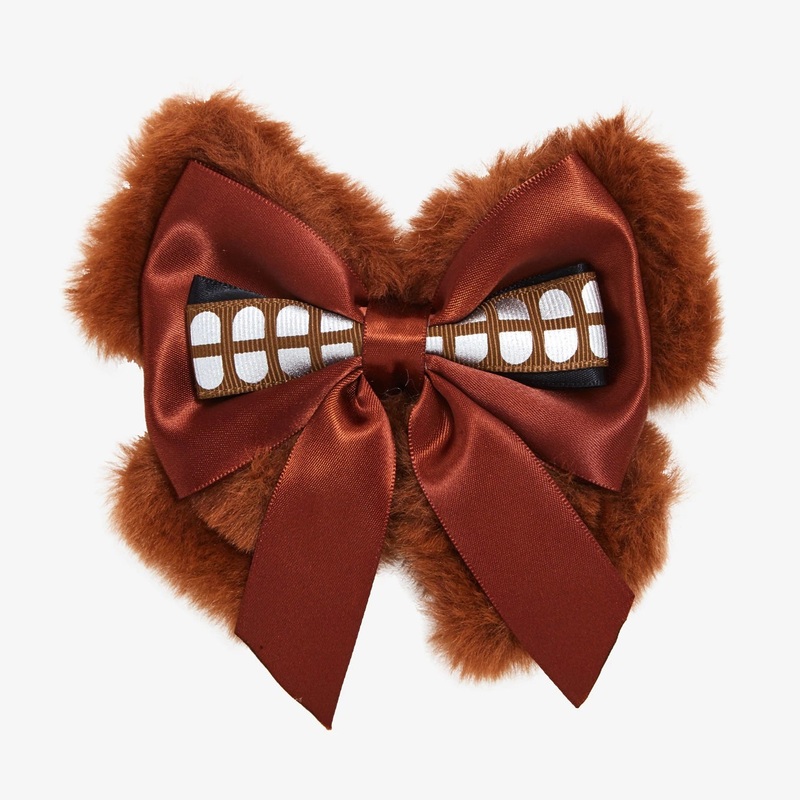 This new cute Chewbacca fuzzy hair bow is now available at Hot Topic. 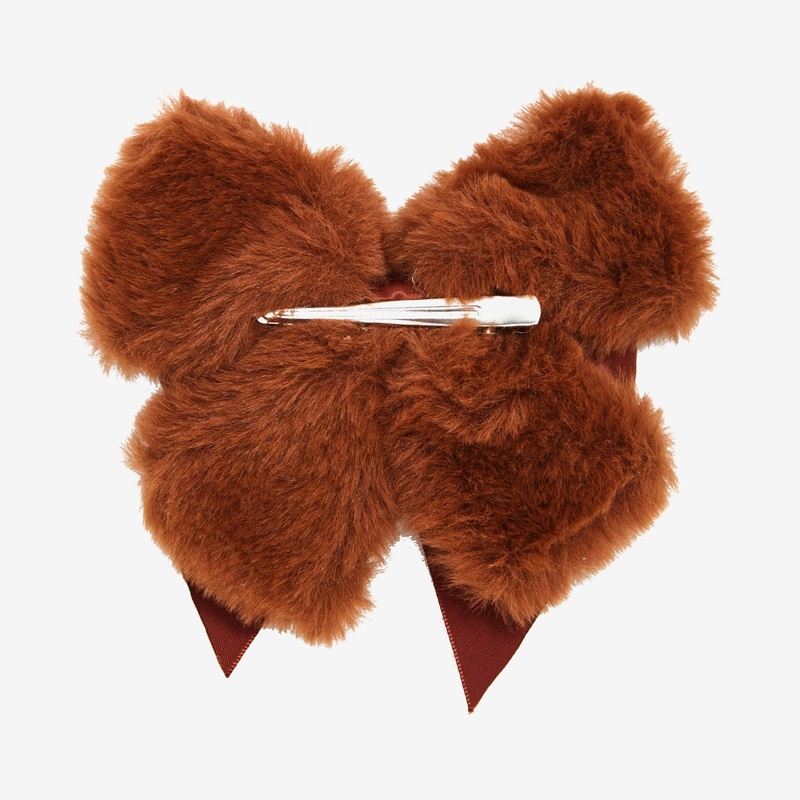 Made from brown faux fur and satin, the hair bow features a print of Chewbacca’s bandolier on the front, and an alligator-style hair clip on the back. The Hot Topic website does not mention the manufacturer, but I believe this bow is made by Loungefly. Back in 2015, Loungefly released their first version of a Chewbacca hair bow – you can see that original version in my review here. This new version appears larger, with additional bows/layers. Chewie’s your favorite sidekick of all time. 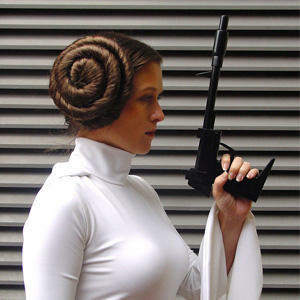 Dress up your ‘do with this cosplay hair bow to honor him. 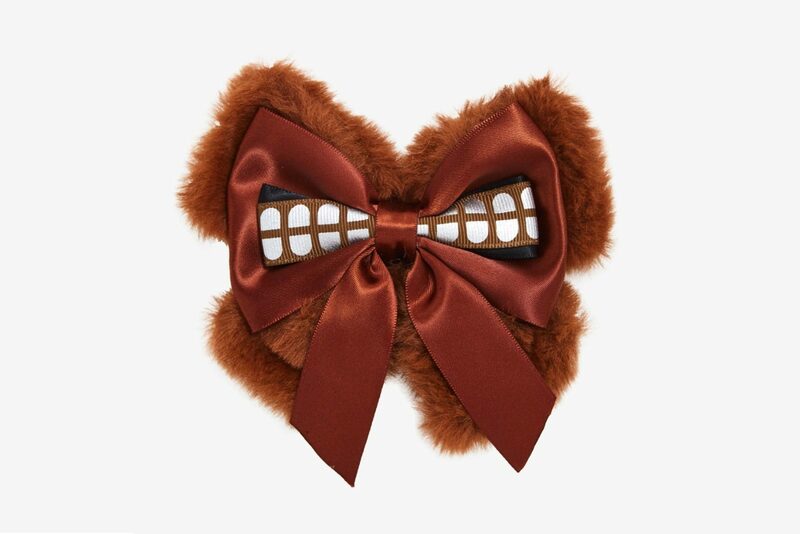 The brown fuzzy hair bow from Star Wars is layered with a satin brown bow and a bow with his bag pattern on top. Alligator clip. The hair bow is priced at US$9.90 each – Hot Topic can ship internationally, which is great!